The hardest part of running a business is getting your target customers to know that you exist. It does not matter how good your product or service is. As long as you are not visible to your potential customers, they might never get a chance to try your offering or tell other customers about it. In their desperation to reach clients, a lot of businesses make the mistake of throwing all of their ideas against the wall and hoping something will stick. But marketing your business comes at a cost, be it money or time. Each strategy that fails to reach your target audience is a waste of your resources. It is money you could have spent more effectively elsewhere. 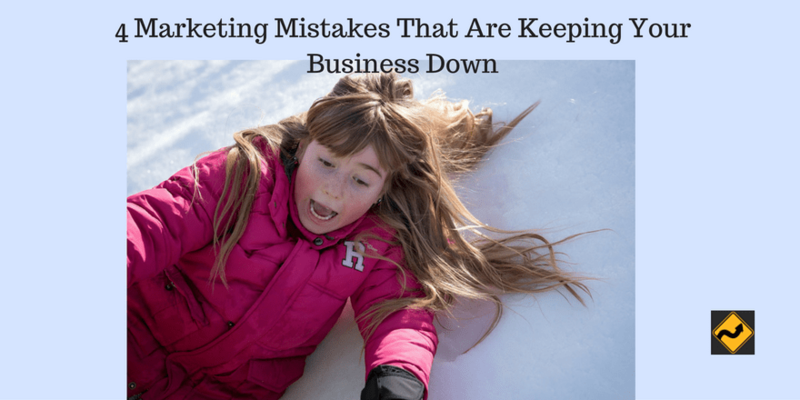 In this article, we will look at a few of the common marketing mistakes that can cost a business dearly. Your buyer might not always be the person at whom you are targeting your product. For instance, if your company makes marketing tools for small businesses, your buyer might not be the business owner. Instead, the buyer might be the agency who takes care of their marketing. While building a buyer persona, it is important to identify all attributes related to both the buyer (the agency in the example above) and the consumer. You must understand the demographics and profile of both individuals. Knowing how the two relate to each other is also vital to build a marketing strategy. Marketing does not have to be a trial-and-error process. There are established guidelines that can guide you through all the different marketing channels. You do not have to commit the same mistakes others before you have committed. Similarly, if you are launching a viral marketing campaign, your marketing content needs to engage people on an emotional level. People widely recognize these factors lead to successful marketing. You do not have to reinvent the wheel while devising a marketing strategy. Few people purchase products on an impulse. And even though some do, it is important to realize that reaching out to these same customers for a repeat purchase is cheaper than targeting a new impulsive buyer. Every marketing campaign, be it online of offline, needs a well-structured sales funnel. You guide your target customers through the funnel during their buying process. For online marketers, this most often refers to building a mailing list or an autoresponder to warm the leads before making a sale. There are several ways to execute similar strategies offline. B2B businesses could, for example, initiate contact through cold calls and once the target customer is in the funnel, they may be reached with periodic follow-ups and meetings. Consumer facing products could have contests and promotions that require customers to provide their mobile number in exchange for a giveaway and then market to these subscribers over SMS. Do remember to follow government regulations relating to these channels while reaching out to customers in your funnel. Although there are established guidelines for every marketing strategy, your execution determines how successful you are. It is hence very important to monitor your business performance at each stage of your marketing campaigns. With online campaigns, this is quite straightforward, thanks to tools like Google Analytics. If you are running an offline campaign such as billboards or flier ads, you may track their performance by testing unique phone numbers or CTAs (Call To Action) across different geographies and benchmarking the performance of your campaign across these different geographies. Failing to measure performance can lead to wasteful expenditure which can be a ‘make or break’ point for your business. All of your tips are very good and must follow these for the growth of business. Now I also start follow these tips. When somebody starts a new business, he/she can not make these type of mistakes. Communication is must between head and customers and this will be of any king such as suggestions, queries, problems etc. Thanks to you for such an informative article. I must keep this in mind. Thanks for the blog…really interesting and helpful in improving mistakes…though its not easy to run business but you shared great idea…thanks again for telling the kind of mistakes we can make…. It is a very clear post that shows how efficiently we can overcome the marketing mistakes.. Very useful information. Actually many companies make these types of mistakes. This article is really helpful. Thanks for sharing. Thank you for these great tips! I can especially appreciate the one related to following marketing guidelines. Although content marketing is a tough thing to engage in, there are easy ways to implement it into your own marketing campaign by becoming educated. This even applies to those that have video marketing as part of their marketing strategy. Appealing to people’s emotions, engaging in proper SEO, having a clear call to action, and targeting a specific audience are all things businesses can do to make their videos more effective. Thanks again for sharing! This can help many marketers avoid all mistakes. Yes you are right that your execution determines how successful you are. Very interesting to read, Thanks for sharing. Excellent tips and yes indeed many companies often overlook these points which keeps them away from online success. Some People creates blog with one blog post and go away.It is not good way to row your boat of digital marketing. Need to understand the complete strategies and tactics which lead your business to top position where you desire. Here, I have read over this blog post and looks very pretty for online marketing. I also think about these tips very often and use them for my own blog. But on this blog I have got extra exposures which will have to adopt in future to generating more target audience and earn more money. Some people here, are talking about website speed, is a good factor for your business as well as responsive design because google are ignoring unresponsive designs after rolling out its new algorithm. Thanks for sharing a marketing fact that is responsive ! !I am totally agree with you responsive site is now a main fundamental of marketing but if you are working for ecommerce or any other blogging or news site then your site also should be AMP (Accelerated Mobile Page ) friendly then only your site would be rank in mobile result pages. AMP and Responsive website are really very crucial now days to do a best marketing and get highest revenue. Measuring results is very important to online success. Great article with very helpful tips. Thanks a lot. Ava would love you to read ..The art of billing: How the Lawyer & Client can protect their rights. Great tips for business and important for business owners. I am working in a company and I will keep these thing in mind also. I have my own business. After reading this blog, I will follow all these steps. These are four excellent points and tips Aakash! You have definitely made a very convincing case. running and maintaining, a successful business, and or service!Thanks! Mark would love you to read ..Email Marketing: How These Five Simple Changes Will Boost Your Results Fast! I think it should be given importance to communication with the customer. Company should definitely take the time to listen as well as talk. Companies need to observe customers’ experience , needs and which content is most affected social sharing. I want to make me a proposal. Speed in marketing is the future. According to a study, if the loading of a website last for more than 3 seconds, 40% of visitors are leaving. Therefore, it should pay attention to speed in marketing. Today, social media will determine the future of the world of marketing . I think social media should also be used effectively as a marketing strategy. Really excellent Post…!Clearly explains how to overcome marketing mistakes which helps in driving traffic. Guest Posting be helpful in driving traffic…. Creating and launching an appealing and informative blog is not enough. For better results, we need to get serious about its promotion. Marketing has always been a great way to drive the targeted audience towards our brand or product. We can convey our organization’s message to a large number of people by making the use of effective marketing techniques. We can use a guest post to encourage visitors to come to our blog. This technique not only promotes our blog but also gives us external link from more authority sites, which can improve ranking on search engines.Email marketing is one of the most prominent ways that can help us to promote our blog. Social media is an important source of traffic for any website. That’s why even the most popular websites focus on making sharing easier for their users. Eventually, thanks for sharing your worthy thought with us.